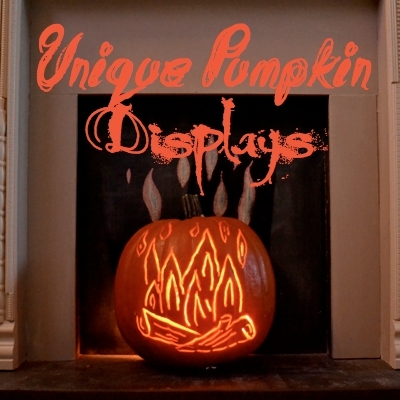 Unique Pumpkin Displays I put together for this fall. I love to think a bit out of the box. 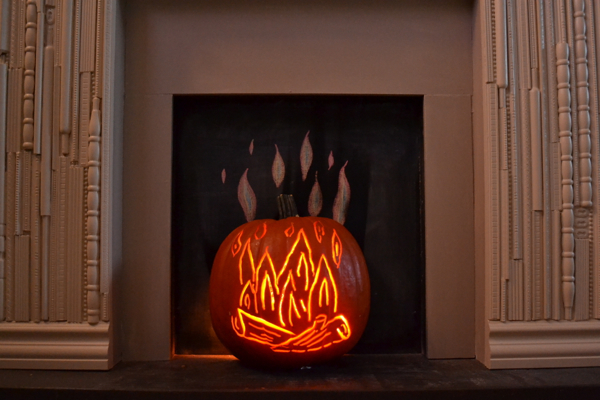 Pumpkin fire! I made a faux mantel and painted the firebox with chalkboard paint. This leads to some unique ideas anytime of the year. Cheat box. Cheat because it only looks full of pumpkins. There is a cardboard box inside. 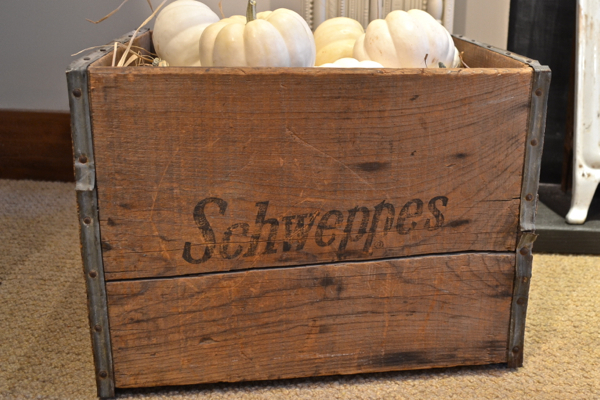 Bring in the pumpkins by the truck load! 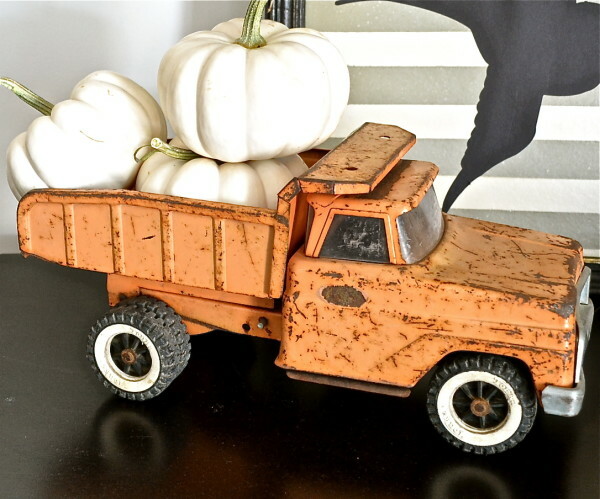 Fill old toy trucks, wagons or sleds with small pumpkins. Pull up a chair and take a load off pumpkin. 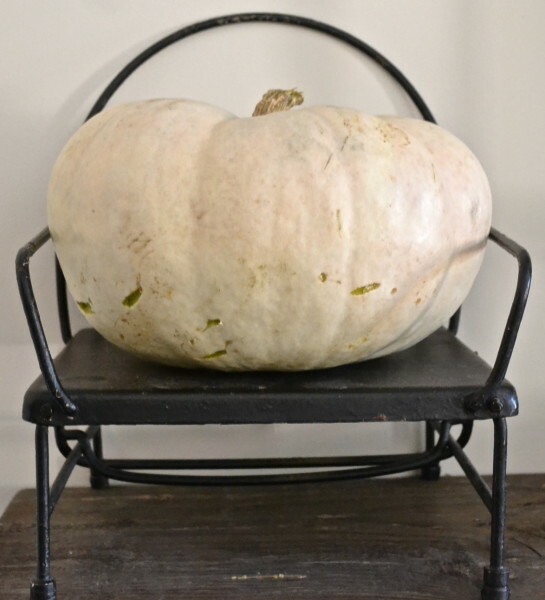 Sit a pumpkin in a child’s chair. This is an old booster chair that fold flat. I bought it in my hometown on my last visit. 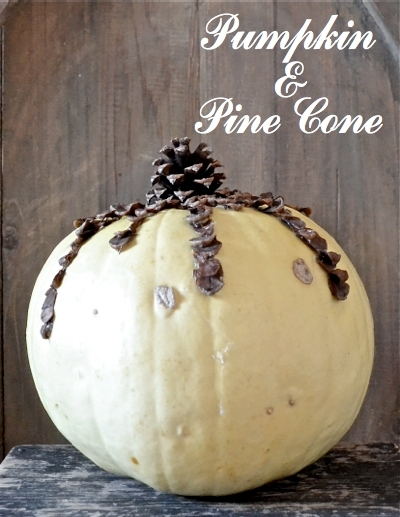 Is it a pine cone pumpkin or a pumpkin pine cone? Whatever it is I do love the colors together. I filled a glass pumpkin with something unique instead of the expected Halloween candy. 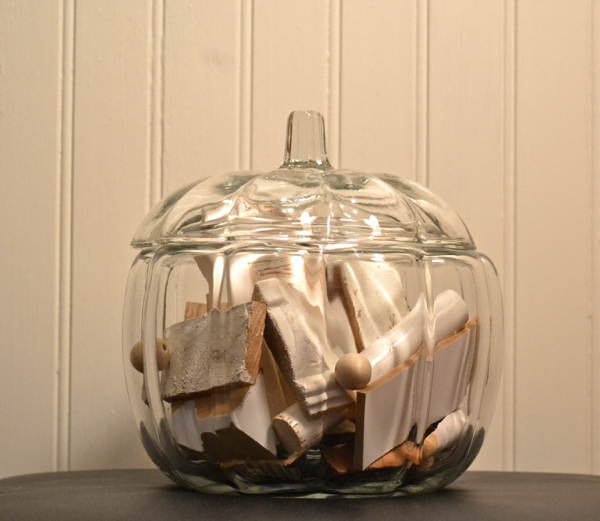 Pieces of white painted scrap trim and wood. But the candy is more fun to eat. An incredible group of creative and animal loving bloggers have got together this week to bring you a unique blog tour. The bloggers shopped local thrift shops that sponsor an animal shelter to bring readers DIY projects and help animals in need. There are stories of these amazing animals that share our journey. As well, stories of the incredible shelters that bring respect, grace, compassion and love to the lost animals. Because they matter. 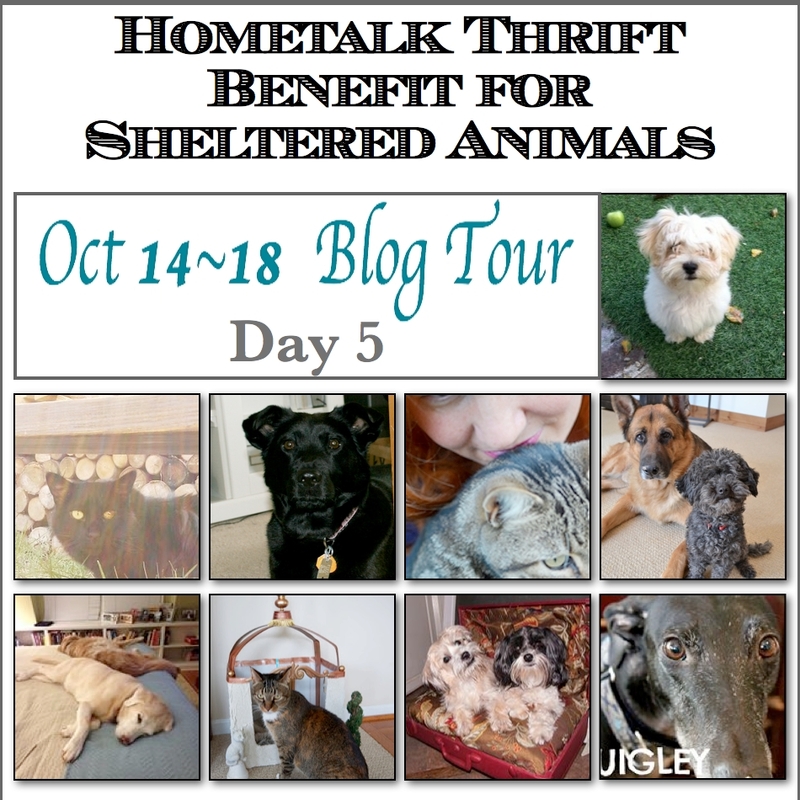 Here’s the line up for the Hometalk Thrift Benefit for Sheltered Animals. Enjoy finding new blogs, their creativity, and their animals.